The temperature is above freezing, for what feels like the first time in a decade! On this sunny Sunday with a very slight feeling of spring in the air, check out my latest Backyard Environmentalist column, “Why Gardens Matter.” Then take a nice winter walk, and come back inside and order your perennials or vegetable seeds. It’s almost time to plant. 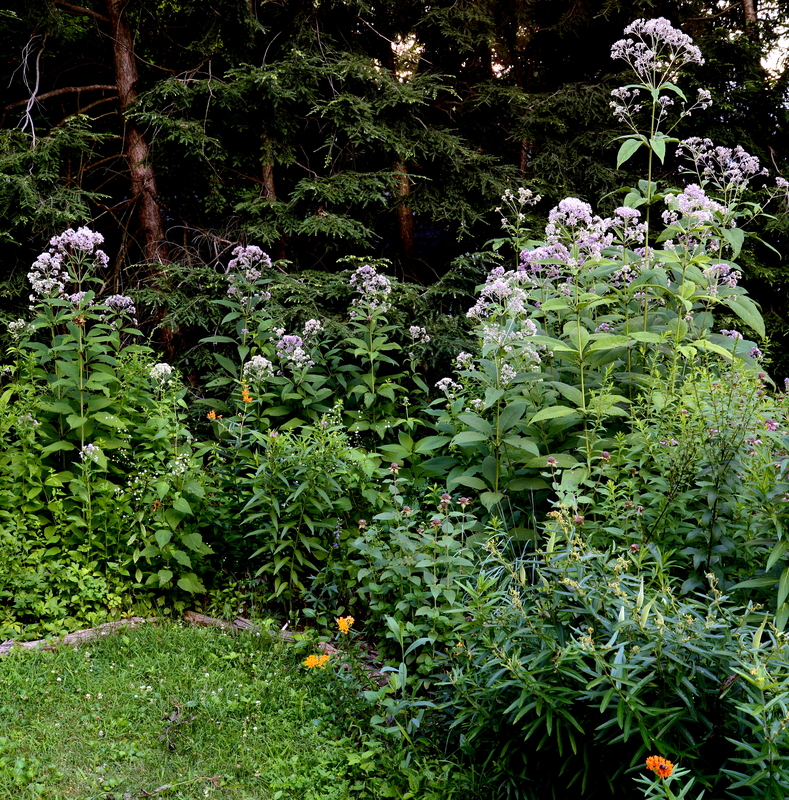 Last summer, sweet joe pye weed (Eupatorium purpureum), usually 4 feet tall and eaten by deer, was 8 feet tall and unusually abundant. It’s very cold outside, and the ground is covered with a foot of frozen snow. I’ve had to postpone many client appointments and put off finishing my own pruning because I can’t get to the plants. Bummer. But last year’s unusually cold winter ushered in the most beautiful gardening season I can remember, so I anticipate the same this year: many plants should be more vigorous and more abundant than usual. My theory is that the cold weather kills off pests and keeps the rabbit and deer population down. I anticipate a glorious gardening season. And if you think we’re having a hard winter, give some thought to what the folks in New England are going through. Which makes me think of Garden in the Woods in Framingham, Mass., the gorgeous native plant garden of the New England Wild Flower Society. NEWFS is a long-established research and educational organization, well worth joining even for those of us who live outside of New England. 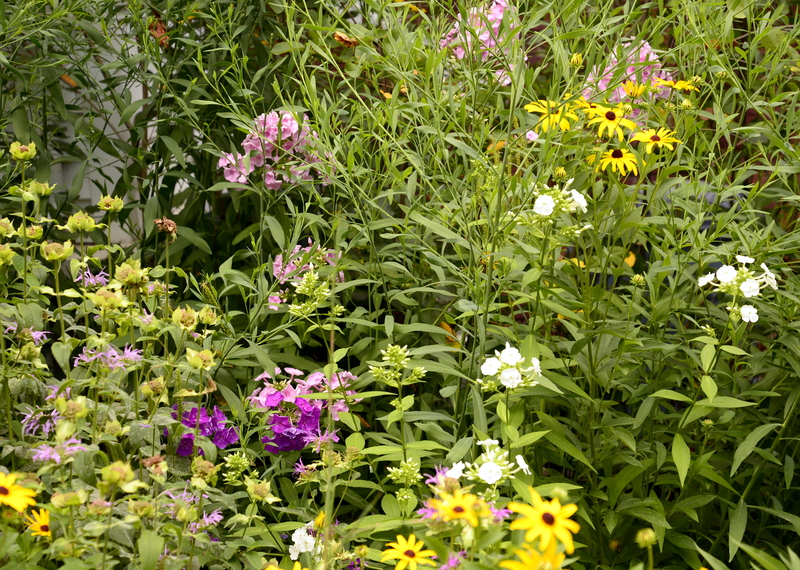 Check out their simple key to plant identification and their plant list for 2015. PBS is running an interesting series, Earth: A New Wild. It’s about a new understanding of the relationship between humans and the environment, focusing on new projects and ideas for repairing specific environmental problems, like returning oysters to New York harbor. Actually, it’s a bit unfocused: some episodes are more about new ways of looking at the environment. The “Forests” segment was particularly interesting, especially a sequence about the recycling of nutrients between the forest and the ocean. Turns out that everything is even more interconnected than we think. The show airs on Wednesdays at 10:00, but you can see previous episodes on line. Linking health, dietary guidance, and the environment will promote human health . . .
Stay warm, order your vegetable seeds, sign up for a CSA for the coming season, and think about this year’s garden. Another effect of a hard winter: in last summer’s garden, several cultivars of garden phlox (Phlox paniculata) that hadn’t bloomed for years reappeared. I’m looking forward to moving them to a more prominent spot this spring. Dead wood and snags (standing dead trees) are something you don’t see a lot in the suburbs—we tend to keep things neat. But take a look at the dead branch in the center of this picture, the one with all the holes. The tip of this branch fell off, but we left the rest of it in place instead of having it pruned off. It’s prime real estate for many cavity-nesting birds. There are always several nests in it in spring, and in winter, it’s a natural feeder. As wood rots, it becomes invaded by insects that live in the soft wood and under the bark. 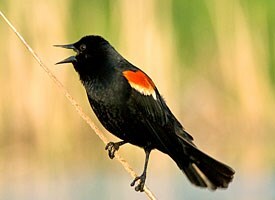 Birds look for and eat those insects. 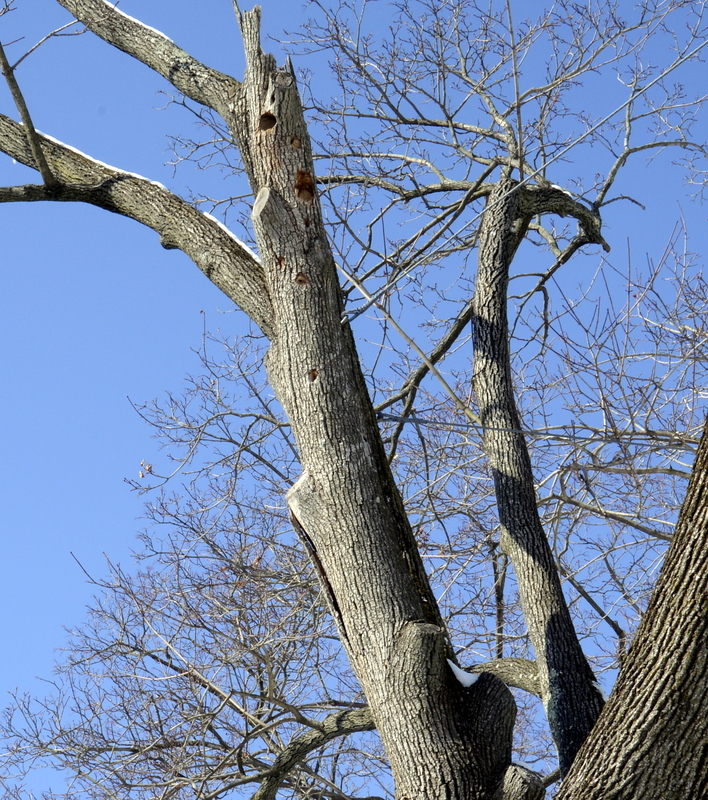 A dying or dead tree is extremely valuable to wildlife—it supplies both food and shelter. One important caveat: this is a dying tree of a nonnative, invasive species. If it were, instead, a healthy tree of a native species, I would have dead wood pruned away to protect the tree’s health. So if you have to decide what to do about a dead branches or unhealthy tree, weigh the wildlife value of the dead wood carefully against the overall health of the tree. All day today, as I’ve sat at work at my computer, I’ve been entertained by a continual stream of wildlife in the large holly tree outside my office window. All morning, two or three grey squirrels (sometimes two, sometimes three), were doing acrobatics in the tree, scampering down the slender branches to get the few remaining berries, chasing each other. For much of the time, one of them seemed to be chasing one other. February to March is breeding season for our eastern grey squirrel; maybe I was watching a male pursuing a female. If so, she didn’t seem interested–when he chased her to the end of a branch, she leaped right over him to get away. Right now a mixed-species foraging flock composed primarily of chickadees and titmice is occupying the tree. “Occupying” is not the right word: they’re energetically picking at the branches while simultaneously practicing gymnastics. Both these species, which are closely related, primarily eat insects, although they do eat some seeds and even feed from animal carcasses when they find them. 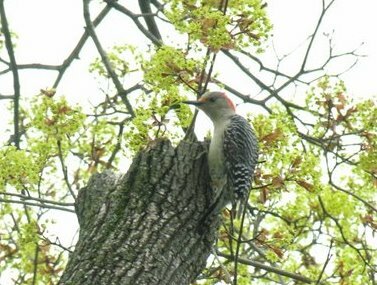 Both species are cavity nesters; they use nest holes previously excavated by woodpeckers. So leave snags (dead trees) and dead branches in place as long as they’re not endangering anyone. As you plan this year’s garden, give a thought to some species you should NOT plant. 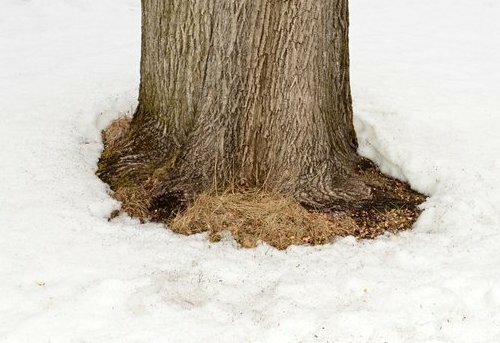 Some of the most serious invasives in our region might surprise you: they include miscanthus grass, wintercreeper, Norway maple, English ivy, kousa dogwood, Japanese barberry, burning bush, privet, porcelainberry, and Japanese honeysuckle. In 2014, New York State passed legislation forbidding the sale of certain invasive plants. The law takes effect in March and will go a long way toward getting many of the most serious problem plants off the market. You can see the complete list here. (Of course, the law can’t control plants already in the ground, which will continue to spread, or plants sold in neighboring states, such as New Jersey, which don’t regulate invasive plants, or mail orders). Two groups in New Jersey are working hard to contain the spread of invasive plants. The NJ Invasive Species Strike Team (NJISST) is a statewide effort to identify and control new outbreaks of invasive plants. 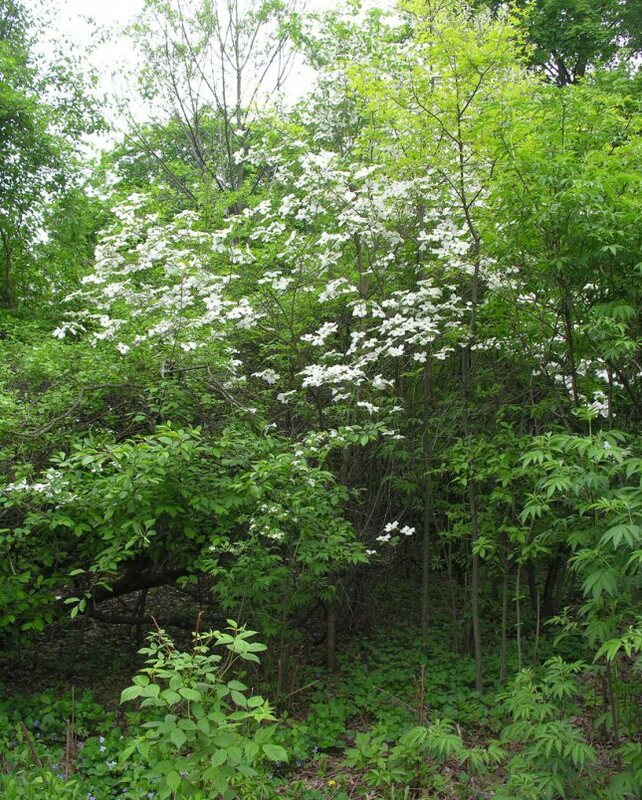 Take a look at their list of NJ invasive plants here. The Invasive Strike Force, a part of the NY-NJ Trail Conference, monitors and controls invasives along over 1,000 miles of hiking trails. Both groups do great work, mostly through the efforts of volunteers. If you’re concerned about the degradation of our environment by invasive plants, consider volunteering some time this coming year. The February/March issue of Nature Conservancy magazine has a great article on human suburbs and birds and why they’re great together. It’s an excerpt from a forthcoming book to be titled Subirdia. Take a look at the list of “Nature’s 10 Commandments.” Remind you of anything you’ve seen on this blog?